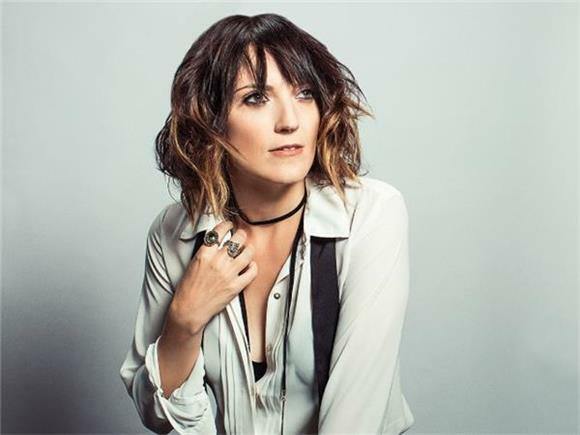 I'm Gonna Die Alone (And I Feel Fine), a stand-up special by comedian Jen Kirkman, debuted on Netflix a few months ago to both critics' and audiences' delight. This revealing special has Kirkman using her critical insight to dissect events and situations that we never knew needed dissection in 78 minutes of constant laughter. Jen released the Netflix special as an audio special last week (available at iTunes and Bandcamp) and was kind enough to answer a few questions about it in our latest interview. Alexander Spruch: I watched the special on Netflix and loved it. Much like your other work the special felt very personal, stories gathered over the years, and I wonder do you ever worry that you'll run out of experiences to draw from? Jen Kirkman: I mean when I'm deep in a moment of neurosis, I worry that I won't have any more IDEAS of course, but that's when I'm being an insane freak. There is no reality to the notion that any single human would run out of experiences. I did a walking tour in Italy last week and once the tour guide found out I was a comedian, of course the tour became questions asked TO me from him and he said, "Is your life so interesting that you have to go around the world and tell it?" The answer is no. My life is no different than anyone else in many ways. My experiences are not unique. It's how I frame them. What did I think was going to happen? What actually happened. What's the aftermath. How did I feel while the experience was happening. With introspection, I can make ordinary experiences seem like crazy stories. AS: This being your third comedy album, did you do anything radically different from the first two in term of approaching it? Anything you learned that you applied here? JK: Not really -- mostly because it was recorded first as a comedy special for viewing. I knew thought that eventually it could be released as an album but I didn't do anything special in anticipation of that. My attitude is that whoever is in the room gets the FULL experience and listening to an album is a totally different experience. It's like listening to radio. You're not going to get to see every little look that goes on but I think that's what's exciting. It makes you listen harder because one of your senses is being deprived. AS: You're in the middle of a tour right now, with a headlining slot at the Milwaukee Comedy Festival this weekend. With the album just dropping and the special still just-released, how do you treat that material in your current live shows? Do you start performing potential bits for the next album/special or does it get incorporated into your already existing catalogue? JK: Yup! Right now the audience in Milwaukee is going to see the material that's going to be on my next comedy special. I just played Milwaukee in September so I don't want to repeat material. Once I record anything -- the tour has to be different material. It's so unfair. Comedians don't get much crowd response when they launch into a bit that people sort of know. We're never going to get to experience what it must have been like for Skynyrd to play "Freebird." AS: You've had a very successful career, ranging from New York Times' Bestselling books, writing for TV, to this album. Is there anything you haven't had a chance to do yet that you would really like to? JK: Oh my God, of course. So much. I'd love to host a late night show. I'd love to sell a few TV shows and have them run for a few seasons. I have about five ideas all from different periods in my life -- some of them I wouldn't even be on, just oversee. I want my books to go to Number 1. I want to be in a movie -- a real serious one where I play a single mom with some kind of pill problem and a Boston accent. And I would like to star in a Hallmark Channel Original Christmas movie. AND I want my own line of jewelry and clothing on QVC. None of this is a joke. So to me, while I've done a couple things, I'm mostly career wise, a failure. AS: Anything else you would like to talk about? JK: My new line of jewelry and clothing on QVC which will debut in 2036.